Angelina Jolie’s divorce from Brad Pitt is not yet final, but that is not keeping her from pursuing another man. A new report has surfaced that claims Jolie has got her eye on a former co-star, and just like when she first met Pitt, he is married. Is the Oscar winner looking to break up another marriage? According to Radar Online, Jolie has struck up an intense and flirty friendship with Ethan Hawke, and his wife Ryan is not happy about the situation. “Ethan and Angelina still reminisce about one of their most explicit love scenes either of them have ever done when they co-starred in Taking Lives 15 years ago,” claims an insider. The source goes on to reveal that Hawke and Jolie have remained close, trusting friends throughout the years, and working on something that hot together created a bond. The single Jolie has been available ever since her September 2016 split from Pitt, and since she and Hawke have crossed paths a lot lately, they have started texting more. And, the insider claims that Jolie has said that she gets butterflies when she sees his name on her phone. Fans remember, of course, that Jolie and Pitt blindsided his then-wife Jennifer Aniston back in 2005 when they met on the set of Mr. & Mrs. Smith and started a relationship that ended with Pitt leaving Aniston and him starting a family with Jolie. But, Hawke’s wife is aware of what is going on, and she doesn’t like it one bit. The source says that the Training Day star hasn’t crossed any lines yet, but he knows that Jolie is a bombshell and praises her for her sexiness every chance he gets. And, when it comes to respecting the boundaries of marriage, Jolie doesn’t have the best history. "I bumped into a chair." 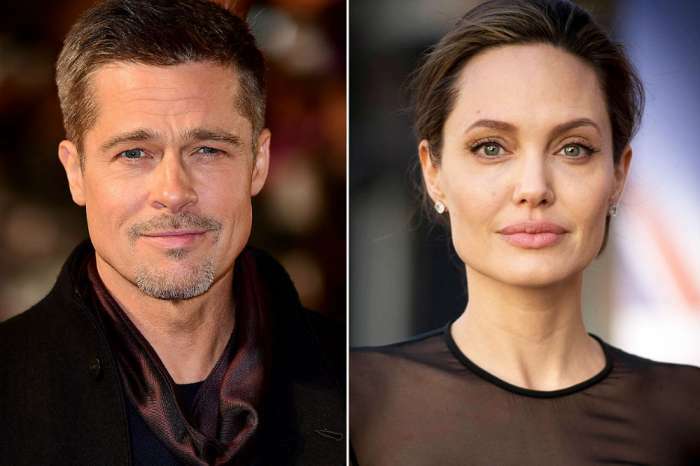 As for Pitt and Jolie, their divorce and custody battle has dragged on for months, but according to new reports, the two Hollywood A-listers have finally agreed to terms and will finalize everything in the coming weeks. 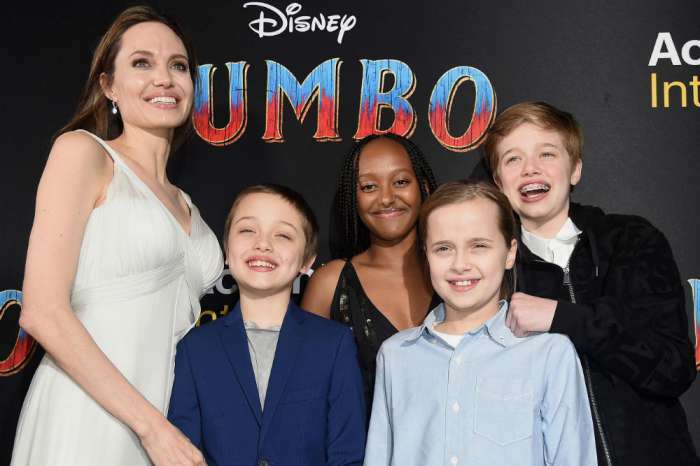 Insiders say that both Pitt and Jolie decided that it was crucial for them to have a respectful relationship for the sake of their six children. The two had been back and forth for months over the settlement, with the biggest sticking point being Pitt’s access to the children. The exes were both in a bad place after the split because things ended so poorly, but now they have both seemingly moved on and are getting back into the world of dating. Neither of them has started anything serious with anyone, but instead, they are both keeping things casual with the people they go out with. Angelina Jolie has not commented on the rumors surrounding her love life. Carrie Underwood Posts The First Photo Showing Her Face Since Her Terrible Injury - Is The Scar Visible?